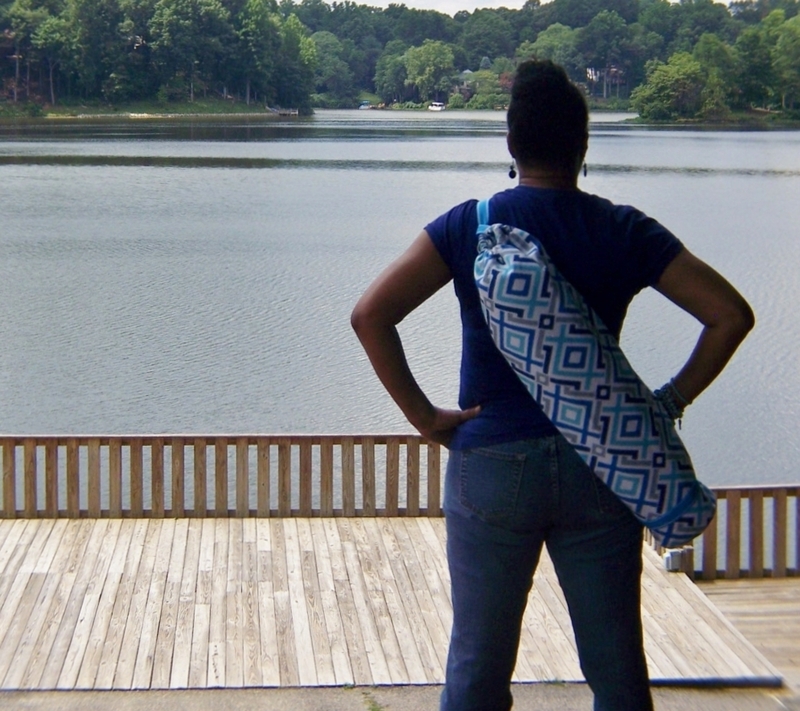 From concept design, to sewing a prototype… The Yoga mat bags have finally emerged! 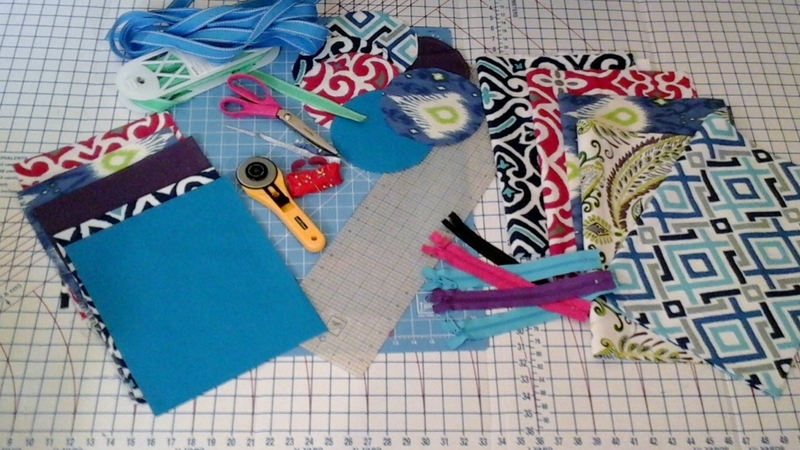 A sewing photo journal of the finished yoga bags! 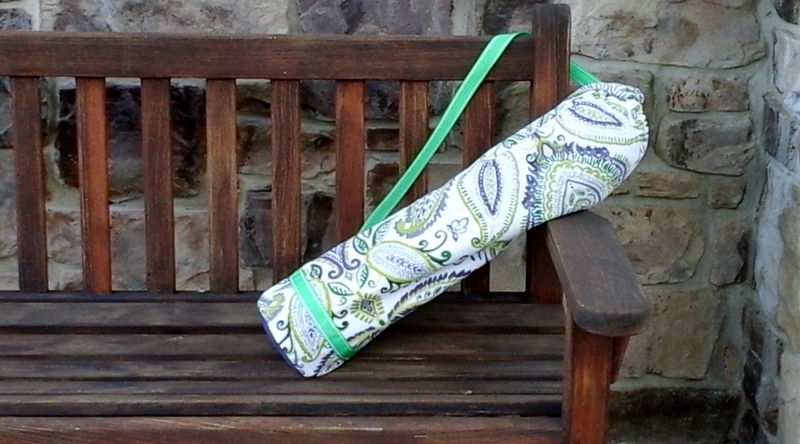 Green, white & purple yoga mat bag! It’s just waiting for someone to take it home. 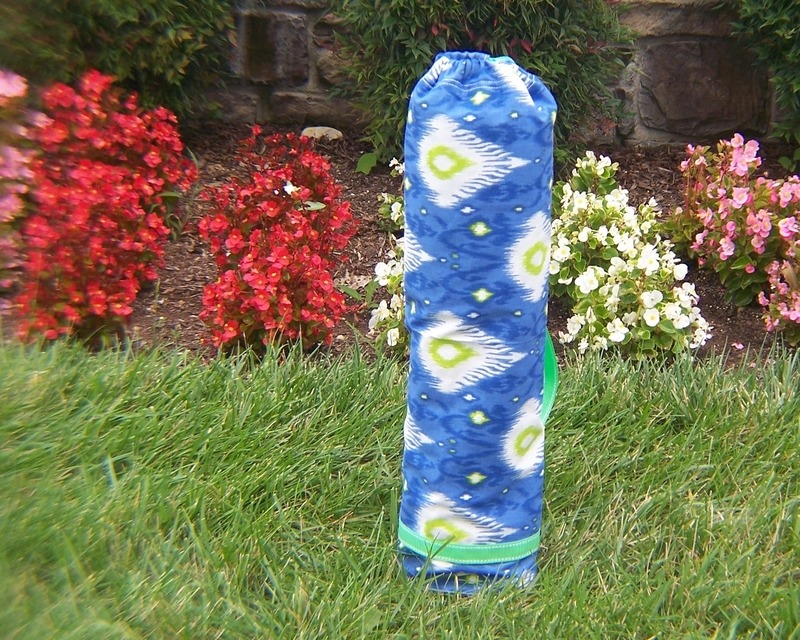 Blue, white & green yoga mat bag. Don’t you think this is a good spot for yoga? Blue & White yoga bag! I can meditate right here yogi’s! 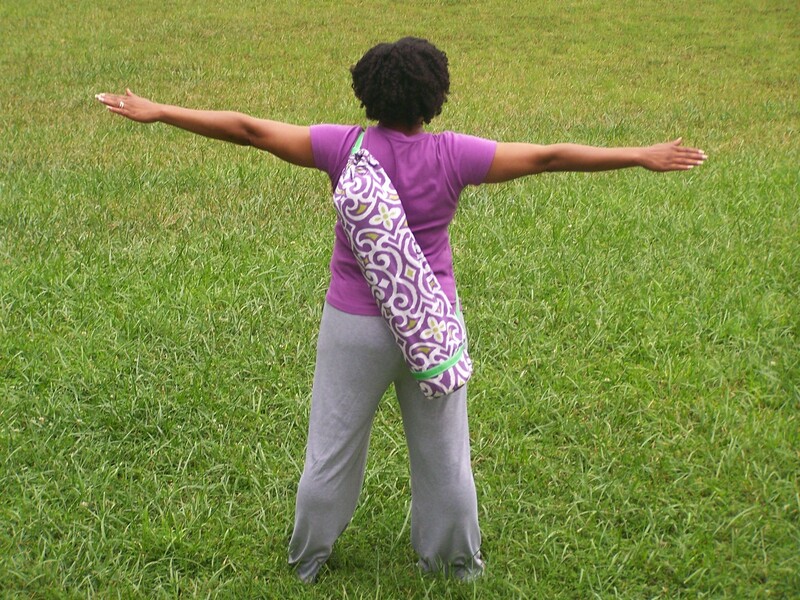 Purple & white yoga mat bag. Stretching before yoga is a good idea! I have a couple more yoga bags that are ready for assembly, before I use my hand-painted fabric. I’m putting the pieces together! 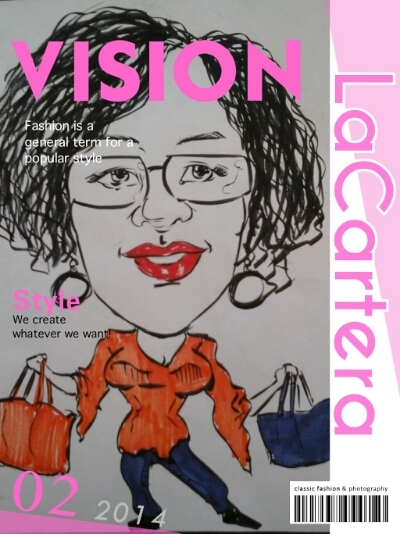 Stay tuned there’s more to come from LaCartera ! Previous Post Boho Chic 2014-Hit or Miss; Fab or Drab?